Imagine hiking along a wooded trail in New England and stumbling upon the stone foundation of a crumbled building, the wooden slats of the walls caved in, the ironwork of the hinges still dangling on the burned out door. This discovery piques your interest-what is this? What's its significance? How can you find out? 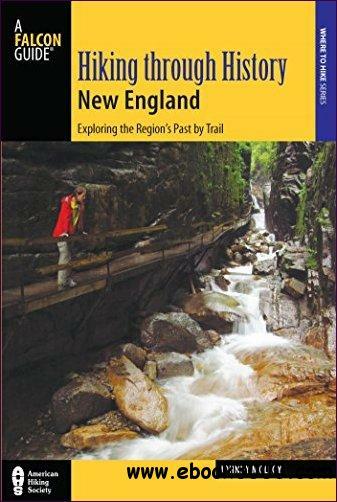 Enter Hiking through History New England: Exploring the Region's Past by Trail. The hiking guidebook, which profiles forty hikes (all trails, of varying degrees of difficulty), goes beyond simply stating miles and directions and GPS coordinates for each hike to include rich descriptions of the history underfoot. Make no mistake-this is a hiking book first and foremost, complete with rich photos and detailed maps, but with added extras and sidebars detailing enough historical information to satisfy every curiosity along the way.